This page is dedicated to help you find other dance websites in the web. But don’t get confused: websites about specific contemporary dance companies or contemporary dance schools have their own place in our directory. The links listed below will take you to other kind of websites, where you can find assorted information or resources (like blogs, forums, institutions, dance social networks, journals, contemporary dance music, dance shoes or clothing, dance related services and so on). There’s also a list of dancers’ personal websites after the first listing below. All links are displayed in alphabetical order. If you want your site to appear in this list (it’s free) or want to update its information just fill in our submission form. Please keep in mind that this is a website about contemporary dance. Send your data only if your site is about this type of dance or is somehow related. And whenever it’s possible, I’ll expect a link back to contemporary-dance.org from your site. AcroDance Producciones AcroDance Producciones is an exclusive group of professional dancers and acrobats with wide experience in varied performing arts like film, television, advertising and events. We have been working for more than 15 years in performing arts for companies, soloists, choreographers and artistic directors both in and out of Spain. AEROWAVES Dance Across Europe Hub for dance discovery in Europe. All World Dance: World Dance News All World Dance provides daily news across genres and national boundaries. Artishoc French network that joins cultural teams and workers of digital technologies to offer services in interactive communication and relationship with audiences (in French). Atalanta Dance Dance Science blog featuring articles and advice on injury prevention, supplemental training for dancers, nutrition and training for peak performance. At Vogue At Vogue Co. Ltd. is specialized in supplying professional dance products and service for many years. Ballet, Jazz, Tap, Hip-hop Dance; we provide great quality dance products and service to our clients with our abundant choices. Convenient shopping. Excellent after-service. Australian teachers of dancing Known as ATOD, provides education for dance teachers in Australia and abroad. BELLYFLOP Performing arts website. It has a very active and updated blog. Centre National de la Danse Official website for the Centre National de la Danse in France. CIAD (Latin America) Sitio web de la Confederación Interamericana de Profesionales de Danza y Consejo Mundial de Profesionales de danza. CID International Dance Council Official umbrella organization for all forms of dance in all countries of the world. Commonwealth Society of Teachers of Dancing Known as CSTD, it establishes examination standards for dance in Australia. Contemporary Dance Music Instrumental music for contemporary dance exercises. Contemporary Performance Network A social media / community organizing network providing artists, presenters, scholars and festivals a platform to meet, share work, and collaborate. Contredanse A.S.B.L (In French) Site de l'association bruxelloise de danse : Contredanse. Édition d'un centre de documentation, d'un journal et d'un site d'informations. Dance Case Find a large list of video examples of different dance genres, including contemporary dance. Dancers and events as well. DanceDeck Dance Floors DanceDeck offers a variety of easy to install portable dance floors and permanent dance flooring systems for amateurs and professionals alike. DanceFlix DanceFlix is a video rental company focused exclusively on dance. Their mission is to provide access to quality video dance instruction at affordable prices. Dance Helpline (India) Dance Helpline gives information about dance institutes, fitness classes, events, diet supplements, artists, choreographers, dance crews, fancy dresses and dance forms. 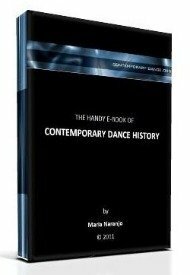 Get information about famous dancers, choreographers and dance crews. We provide assistance for people who want to know about near dance classes in their city. Dancehouse (Australia) Centre for independent dance in Melbourne. Through its programs of residencies, performance, training and research, Dancehouse is a space for developing challenging, invigorating, and socially engaged moving art. Dancehouse is a genuine tool for the dance-maker, a catalyst for developing new audiences and a facilitator of meaningful alliances and mobility schemes, in Australia and internationally. Artisitc Direction: Angela Conquet. Managers of a space in Johannesburg and producers of annual dance platforms for contemporary dance. Dance Notation Bureau Non-profit organization whose mission is to advance the art of dance through the use of labanotation. Find an online catalog of dance scores and related information. Dancesounds (Music for dance) Publishers and Distributors of Music For Dance in Education. Dancewear365.com Provides all your dancewear needs, from dancewear products, to useful techniques and information on how to fit them. DanceWeb (UK) Dance news & classes, dance events, free dance videos and dance supplies. For all dancers and all styles. Find discount dance shoes, ballet costumes, a salsa teacher, ballroom lessons or a linedance festival. In Birmingham, London, Glasgow, Edinburgh, Manchester, Leeds, Sheffield, Land's End, Bradford, Bristol or anywhere in UK. Danse Danse (Montreal) Showcase for performances from all over the world. DanzaBallet (In Spanish mainly) Noticias sobre la danza y el ballet en España. danzaescrita.com (In Spanish) Research on the practice of writting about dance in Colombia. Includes a collection of selected texts. danza.es (In Spanish mainly) Portal del INAEM para la danza en España. DJ Plie Music for contemporary dance. ecotopia dance productions Tours international contemporary dance companies all over the world. EFT for Dancers How to achieve peak performance in dancing with EFT (Emotional Freedom Techniques, a form of mindful acupressure). Hacke & Spitze Hacke und Spitze is a large specialist shop for dancing shoes and dancewear in Berlin. The assortment covers numerous dance genres – Classical Ballet and Contemporary Dance, Tango, Salsa or Swing Dance as well as Tap Dance and Flamenco. Along with many well-established brands, Hacke & Spitze sells products from smaller dancewear and danceshoe-labels too, and are Germany exclusive retailer for the Argentine tangoshoe brand Raquel. In addition to the Berlin Kreuzberg store, there is a comprehensive webshop at www.hackeundspitze.de. Online customers may opt for conventional delivery purchases but there's non-binding reservation option as well (Shop Pickup). Hacke & Spitze was established in 2010 by the former Daniela Wasseveld and Jutta Peixoto Cordeiro. All employees are trained dancers as well. Harkness Center for Dance Injuries Hospital for joint diseases in New York. idança.net Dance journal and blog. IMG Artists Performing arts managers. InfiniteBody A blog on arts, culture and the creative mind by veteran dance writer Eva Yaa Asantewaa. While not exclusively about dance, InfiniteBody often features dance reviews, news, audio interviews and resources. International Dance Council Official website for the Unesco International Dance Council. IOTPD International Organization for the Transition of Professional Dancers. ITI World Organization for the Performing arts. IUGTE (International University Global Theatre Experience) IUGTE is a non-governmental non-profit organization founded in 2000 with the purpose of exploring the bridge between world theatre traditions and contemporary performing arts, developing international programmes, promoting multicultural dialogue, supporting the freedom of creative expression and tolerance through the acquaintance with the diversity of world traditions. Its staff is a collaborative community of experts in the field of performing arts, social science, culture and arts management aiming to achieve the highest level of excellence in organizational work, research, teaching and creative endeavors. Its programmes provide opportunities for intellectual, practical and experiential knowledge of the performing arts, a practical working knowledge of the craft, discipline, the critical thinking it requires, and a deep appreciation for the collaborative art of theatre. Since 2000 IUGTE has carried out over fifty international performing arts conferences, training courses and collaboration projects in Austria, Canada, Czech Republic, Great Britain, Italy, Latvia, Lithuania, Malta, Russia, Slovenia, Sweden and Ukraine. Los Danzantes Website of a production company for dance in Colombia. MAE Centre de Documentació i Museu de les Arts Escèniques del Institut del Teatre de la Diputación de Barcelona. Mostly Dance My reflections on the important part dance has played in my life from running a modern dance company for over 30 years to work in women's prison and with domestic violence survivors. Move Dancewear, online retailers for dancewear and dance products. Blog written by professional dancer Nicolette Whitley. Movement Research Laboratory for the investigation of dance and movement-based forms. It is dedicated to the creation and implementation of free and low-cost programs that nurture and instigate discourse and experimentation. National Museum of Dance (99 South Broadway, Saratoga Springs, NY 12866). Royal Academy of Dance Known as RAD, it trains dance teachers worldwide. Real Deal Dance Marketing Provides marketing tips for dance studios. Real Deal Dance Websites Provides website designs for dance studios. Rudolph Nureyev Foundation Medical Website A great, serious resource for research if you have dance related medical problems. rutzlerpilates, pilates into dance (London) Learn how to improve your dance technique by focussing more on your posture, core strength and relieving tension. SnapLock Dance Floors SnapLock offers quality portable dance floors for all types of dance styles. All our flooring products are proudly made in the USA. SoundFORMovement Music for modern, yoga, ballet, improvisation, choreography... pay what you can. Step-by-Step-Dance A dance website about assorted dance styles and their history. Talking Pointes News, reviews, commentary and dance history from Australia. Tanz Forum Berlin Video platform for contemporary dance in Berlin. The Healthy Dancer The mission of The Healthy Dancer Blog is to aid the development of intelligent, thinking, healthy dancers and to draw attention to ways that dancers can improve their technique through cross-training, better nutrition and body awareness. UMUV - The global dance platform UMUV is a global dance platform that allows anyone from all over the world to PUBLISH and SEARCH dance events like classes, shows, auditions, workshops, jobs, festivals, intensives and much more form all over the world. It is free! Conversations with a dancer A personal blog dedicated to dance run by contemporary dancer, choreographer and producer Momo Sanno. jamiebenson.com Dance hub for Jamie Benson, a Dancer, Choreographer & Instructor for-hire. Your traditionally nontraditional source of Theater, Film, & Commercial dance spectacle. By mashing-up classic & barbaric forms of dance & theater, Benson's evolving hybrid-brand of performance attempts to demystify the enigmatic, sometimes cryptic, art form of dance by rummaging through the humor & profundity in everyday rituals & landscapes. Benson's aim is to develop a bridge brand between these different forms in order to affirm their merit to a mass audience. Marjan Raar Personal website of the freelance dance artist Marjan Raar. I hope our directory is useful for you. Remember that it is continuously under construction. If there’s any information you think that should be included, just let me know. Also, if you prefer your site to be removed from our list, just contact me and send me your message.